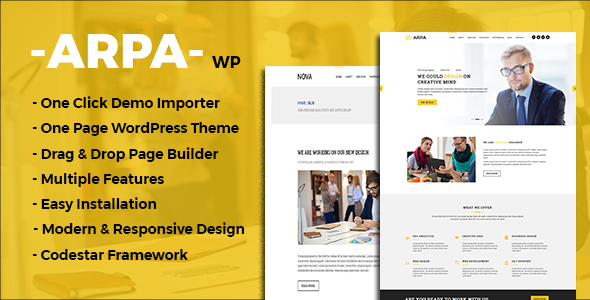 Arpa is One-Page Responsive Business WordPress Theme. No coding knowledge is required for this theme. It is perfect for Agency, Corporate, Startup and other small Business sites. It has a lot of features and it looks perfect on all modern browsers, tablets and phones.You can customize each and every section and change your contents as per your need by Drag and Drop.